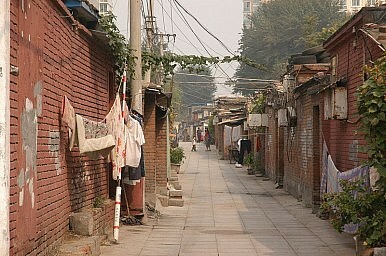 Statistics concerning China’s economic and social development have been called into question. Chinese universities and research institutes have been busy of late, churning out data on China’s economic and social development. Some of their claims, however, appear to be quite divorced from the realities of ordinary Chinese. Take the Southwestern University of Finance and Economics in China. Several months ago it published the China Household Finance Survey, which suggested that the average urban household in China had assets worth 2.47 million yuan, and that 89.68% of Chinese households owned their own homes. The data prompted a furious debate, with many critics pointing out that 2.47 million yuan in household assets seems hard to believe given that China’s per capita GDP last year was just over RMB 30,000 yuan. The claim of almost 90% home ownership was also widely disputed. Even as that debate raged, Peking University released the 2012 Chinese People’s Livelihood Development Report, which suggested that the average Chinese home was 116.4 m2 per family, a veritable mansion for many ordinary Chinese. China’s netizens are even more disgruntled by China’s National Rejuvenation Index Research. According to this research, China had accomplished 62% of its rejuvenation tasks by 2010, and will enter “The First World” by 2049. The quantification has prompted chuckles among many Chinese, especially after it was reported that the lead researcher had originally reported a figure of 46% to his superiors in 2007, but raised it to 62% after they complained that it was too low. It was also noted that the 2049 target date just happens to be the centenary of the founding of the People’s Republic of China, and echoes repeated government pronouncements that China will have modernized and become a great power—rich, strong, democratic, civilized, and socialist—by that year. It is clear from online comments that many ordinary Chinese see these research results as fudged, simply endorsing a government blueprint. But there is also another, more disturbing possibility: The data might be correct. Some Chinese have indeed been doing very well, with large houses and substantial wealth. For them, national rejuvenation may well feel at hand. This subset of the population could well be driving up the mean in these surveys, if not the median. The vast majority of people, however, live far below these impressive-sounding averages, and don’t fit the national rejuvenation story. The reports only serve to drive home just how far China’s wealth gap has yawned. So perhaps we shouldn’t laugh at the surveys. In exposing the unequal distribution of China’s newfound wealth, they could even encourage policymakers to rethink China’s development path.